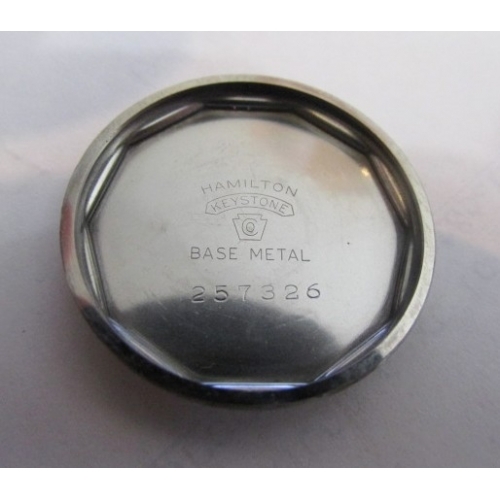 Case is in very high with original crown. 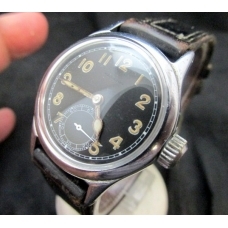 Dial is original in black with luminous numbers and hands ..... Navy spec Fssc-88-W-800 Movement is a caliber 987 A with 17 jewels, . 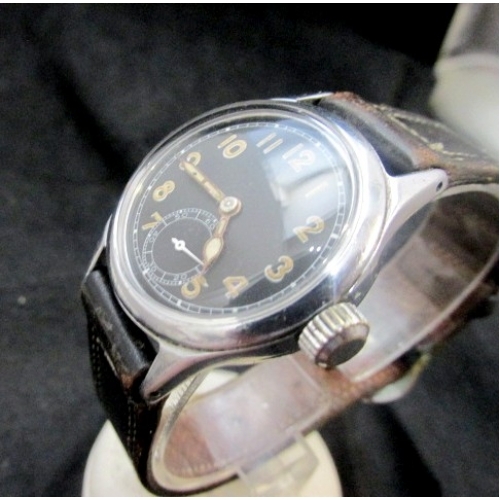 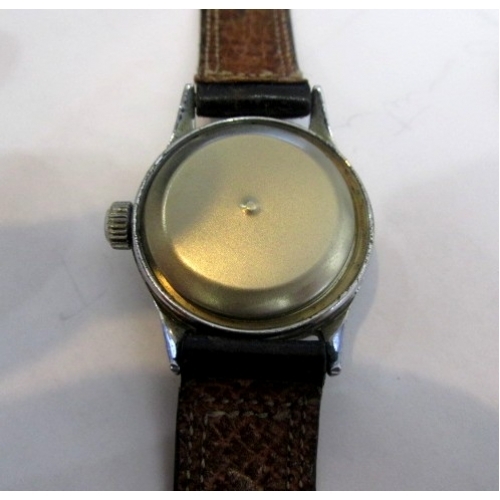 Watch is in very nice condition after sitting in a drawer for around 70 years. 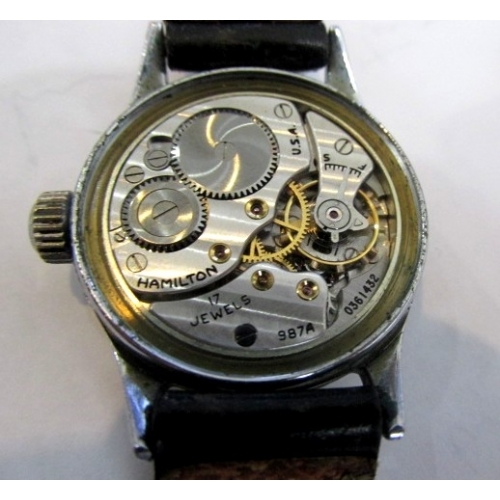 We have serviced it and is running perfect. 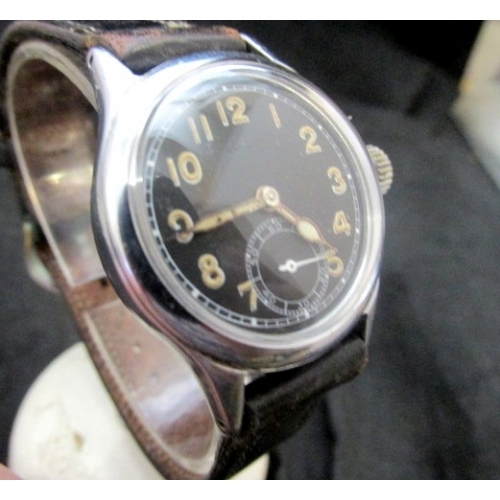 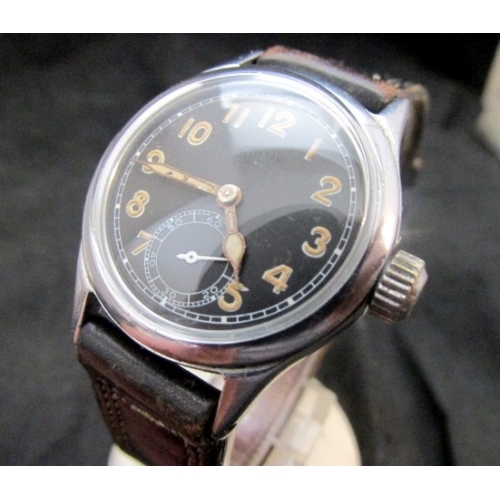 Case measures 31mm x 38.3mm and comes with original stiched leather band with pig skin backing with steel buckle.Great condition on this early Hamilton military ....minor wear to case, Ordinance marks R88-W-800 was produced for navy and Marines required luminous dots, numerals and hands.